Your client wants every franchise sign in the Midwest replaced in the next 90 days. You can depend on Signs by Crannie to get the job done. 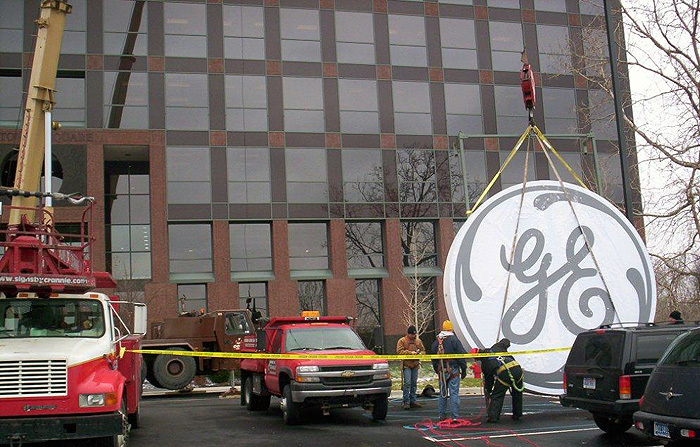 We understand what it’s like to ship signs around the country and depend on a good installation company. We have several good national accounts of our own that we build for and ship out for installation. We regularly install for Federal / Heath, Kieffer & Company, Zimmerman Signs and Translux. Sub-Contracted Installations are our specialty! • Within hours of receiving your order, our Permits Procurement department starts the application process. • Once installation dates are scheduled, they are set in stone. We understand your reputation is on the line with your client. Our commitment is to complete each installation the day it is scheduled – no excuses. • Before installation takes place, our engineers review your design drawings and complete an on-site survey. Experience has shown us that we can find and solve problems in advance that an off-site designer or engineer might miss. • Our shipping and receiving department thoroughly checks every incoming sign for damage. If damage is discovered, a digital photo is e-mailed back to you within hours. 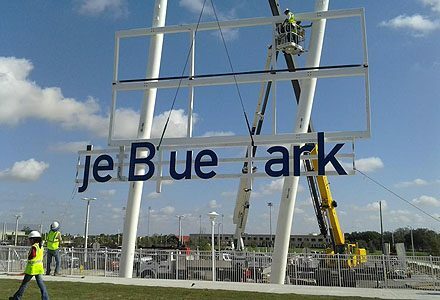 In addition, with our full-service manufacturing facility we can often repair damages instead of returning the sign. • We carefully document every installation with digital photos. We are especially careful to document any deviations from the engineering drawings made by previous installers for you to save for future reference. Our clients tell us that working with Signs by Crannie is like having their own company on site. We pride ourselves on solving their problems as if they were our own. Contact us to learn how we can help you with your next sign project.